So we didn’t get a new Toyota Supra at any of the auto shows in 2017, and it doesn’t appear to be coming to the Detroit show next month either. At this point I’m all but convinced it exists only internally so Toyota employees can rip burnouts as a stress-relief exercise. But! 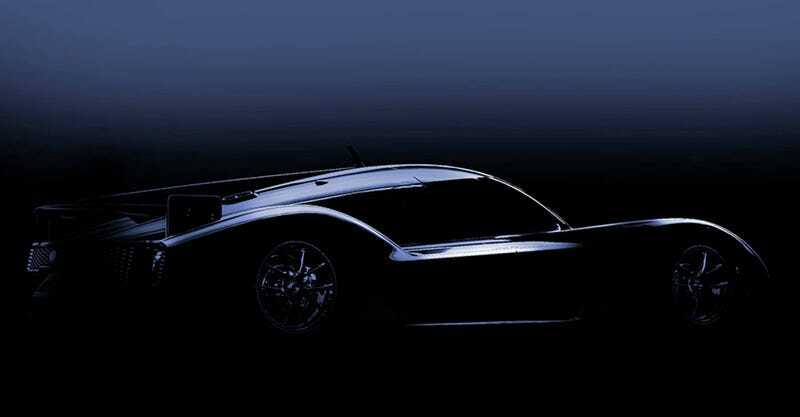 Something interesting and unexpected is coming to the Tokyo Auto Salon in January from Toyota’s Gazoo Racing. The shape pretty clearly resembles Toyota’s TS050 LMP1 racer, which is confirmed to return to the top class of the World Endurance Championship in 2018 and 2019. Could Toyota be making such a vehicle for the road, in super-limited production? Or is this just a concept? We don’t know yet, but I am intrigued nonetheless. As you may know, Gazoo Racing is the motorsports division of Toyota, and the name is primarily used in Europe and Japan. In the latter it’s even used for a performance-oriented lineup of street cars with names like GR Sport, GR and GRMN. And it’s been hinted that the new Supra will live under the Gazoo brand, though I don’t foresee that happening in the U.S. Speaking of which, the UK’s Evo reports that while we will get to see whatever this crazy Le Mans-inspired car is and a supercharged Yaris/Vitz at the Tokyo Auto Salon, the new Supra will again be a no-show. I’ll believe that thing exists when I see it on dealer lots! In America! This New Toyota Supra Report Can&apos;t Be True, Right?